Tries, tackles and fans caught the eye in the Aviva Premiership and Guinness Pro 12 this week, while there were heroes and villains in the IRB Sevens and Rugby World Cup too. Wasps supporters had the rug pulled out from under them during last week, when the club announced they were moving from High Wycombe to Coventry from December. The Aviva Premiership club’s fan base stretches from west London to the Thames Valley, because of their previous moves from their original Sudbury base, so the switch to Coventry will have more impact on some that others. The initial reaction was angry, especially from supporters who have been season-ticket holders for decades but cannot make the much longer journey to Coventry regularly. There was talk of protests at Sunday’s game against Bath and the players and management probably went into it with some trepidation. However, the Wasps supporters did themselves proud. A crowd of 7,397 turned up (including some Bath fans, of course) and while there were a few banners expressing unhappiness about the move to Coventry and underlining that not all fans will be able to follow the team to the Midlands, the fans got behind their team and roared them to victory in what turned out to be a thrilling match. The Wasps fans have good reason to be sore about the way they have been treated, but they turned the other cheek and showed nothing but determination to make the best of a bad situation. 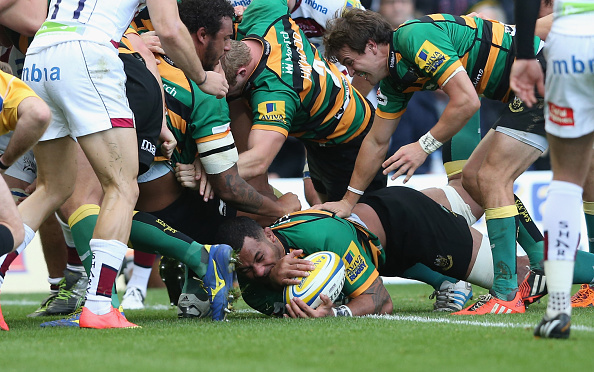 Samu Manoa scored a hat-trick for Northampton Saints in their 43-10 bashing of Sale Sharks. Two of his tries owed everything to the dominance of the Saints’ pack as a whole, coming as they did from driving mauls, but they still need scoring and the American No 8 made no mistake. An honourable mention goes to another member of the forwards union, as lock Damien Welsh grabbed a brace of tries for Exeter Chiefs. Well, they can’t let the backs have all the fun, can they? Jeff Hassler was stopped just short by the Cardiff Blues defence as he attempted to score the Ospreys‘ second try of the afternoon in their Guinness Pro12 derby game. Scrum-half Rhys Webb got the ball under control at the base of the ruck and looked for a scoring opportunity. He didn’t need to look far, as he realised he could see the try-line between the bodies, right by his own feet, so he dotted the ball down for a try which took the Ospreys’ lead out to 26-3. Sometimes, the simplest ideas are the best. Uruguay scrum-half Agustin Ormaechea is the toast of his nation after he helped them claim the 20th and last spot at next year’s Rugby World Cup in England. Uruguay beat Russia 36-27 in Montevideo, to take the two-leg qualification playoff 57-49 on aggregate and Ormaechea was instrumental in their triumph. Russia led 20-12 early in the second half but then a break and great offload by Ormaechea created a try for Joaquin Prada. Alejo Corral scored Uruguay’s second, from a maul, which put them 26-20 ahead as the final quarter loomed and Ormaechea raced over from the back of a scrum to seal the deal. His father Diego played for Uruguay at the 1999 World Cup and now 23-year-old Agustin will follow in his footsteps, as his nation join England, Wales, Australia and Fiji in Pool A at next autumn’s tournament. The Guinness Pro12 match between Ulster and Glasgow Warriors was a tight tussle through to 60 minutes, with Ulster 15-9 ahead but the Warriors still very much in the game. The home pack, led by Rory Best, was turning the screw on the Scots, but there will still just one score in it. Then, from the back of a rolling maul, Paul Marshall decided to set the ball free sooner than Glasgow might have expected and he found replacement wing Craig Gilroy steaming through on a superb diagonal line. Gilroy batted away two would-be tacklers and raced over for the first try of the game, which gave Ulster a more comfortable 22-9 lead. It was a great bit of vision, footwork and finishing from Gilroy, who is having to bide his time on the bench behind Andrew Trimble and Tommy Bowe. Just the impact any coach would love from their subs. There have been some topsy-turvy results in the Aviva Premiership so far this season but the Wasps v Bath game was one of the most extraordinary so far, as first Wasps took a 29-0 lead, then Bath fought back with 22 unanswered points to make the hosts sweat at the end. At 29-0 down, you would expect a lot of players to be mentally back on the bus home, but not George Ford. Lauded for his great attacking play, it was his defence which helped turn the tide for Bath this time as he made not one, but two try-saving tackles within the space of a couple of minutes. Bath had stopped the rot with one try, but still looked a million miles away from getting anything out of the game, with just the last 20 minutes to play. But first Ford stopped the sizeable No 8 Nathan Hughes as he trundled towards the line, then managed to halt Sailosi Tagicakibau – easier said than done. Defence turned into attack and Bath grabbed two more tries before the end, but were just held out from claiming a famous victory. You are playing away at Wasps, you are 12-0 down with 43 minutes on the clock and your team-mate Leroy Houston is in the sin-bin. What do you do next? 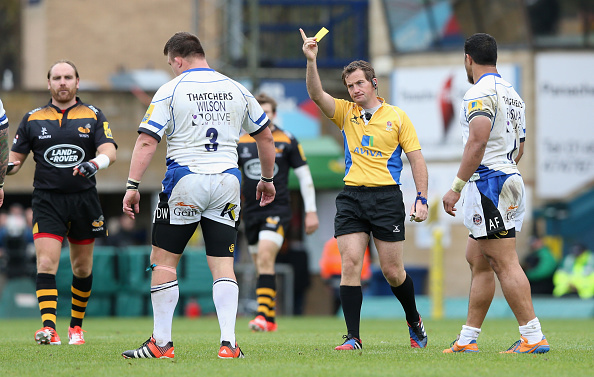 If you are Bath prop David Wilson you deliberately trip up Wasps No 8 Nathan Hughes as he runs away from a ruck, thus giving away a kickable penalty and earning yourself a yellow card. Not clever. Scrum-half Micky Young made a bad situation worse five minutes later when he was sin-binned for tackling Christian Wade without the ball. There was still a minute to go before Houston was due back on, so Bath were briefly down to 12 men, and the offence resulted in a penalty try which put Wasps 22-0 up. At least Young carried out his misdemeanour to try to stop a certain try. Wilson was just plain silly. Fiji Sevens star Semi Kunatani thought he had scored the first try of his nation’s match against Scotland on Day One of the IRB’s Goldcoast Sevens. He sprinted from halfway, then slowed to a jog as he crossed the line under the posts and turned ready to lean casually down and place the ball on the ground. That was when reality struck, in the smaller but fast-moving shape of Scotland’s Lee Jones. Showing that it is worth chasing the most utterly wayward of lost causes, Jones smashed into Kunatani and forced him to drop the ball. Unfortunately for Scotland, Fiji went on to win the match 40-7, but Jones was hailed a hero as the video of his tackle whizzed around the world on social media. 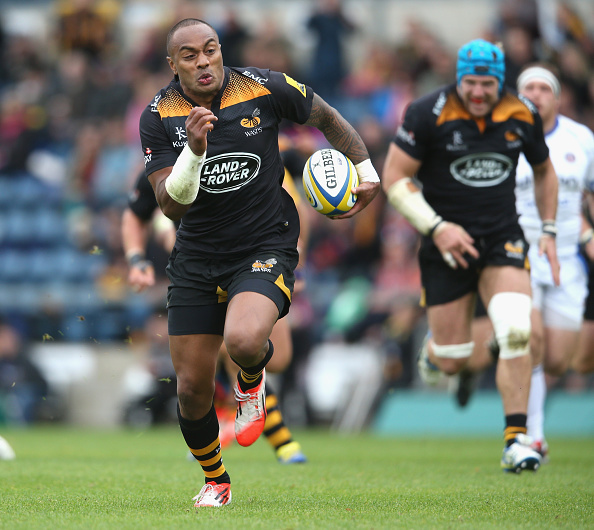 There was understandable consternation among Wasps fans during last week when the club finally confirmed they would be moving from High Wycombe to Coventry. Lots of the club’s players took to Twitter to ask for the supporters to be patient and wait for the full explanation of just what dire financial straits the club was in. However, only fly-half Andy Goode chose to add an insulting caveat to his Tweet, which showed a total lack of empathy with the fans who were digesting the news that their match-day was now going to involve a round trip of anything up to 200 miles. Goode would do well to think before he types next time. 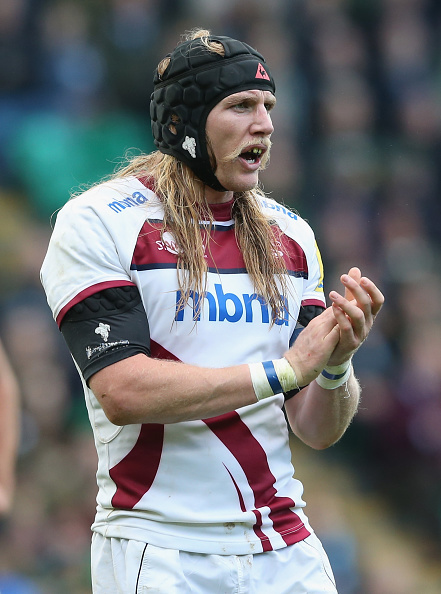 Magnus Lund – I have no general objection to men having long hair, or being in touch with their inner Viking, but the long-hair-under-scrum-cap look is not to be recommended.